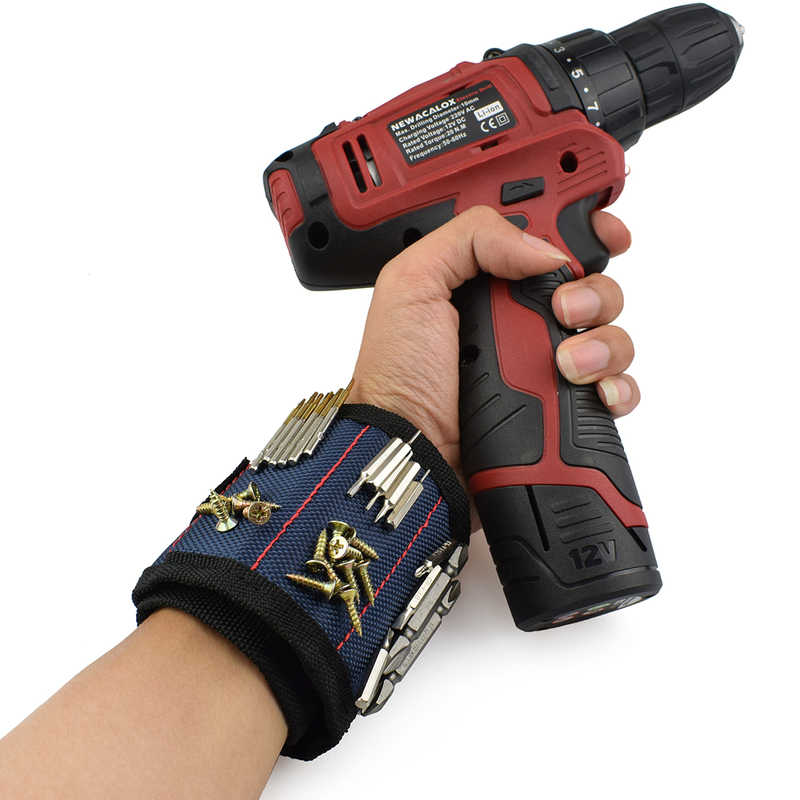 The Magnetic Wrist Band for screws and nails is a brilliant tool. Before its invention, how did handymen, carpenters and DIY enthusiasts get on?! After all humans have yet to evolve extra hands and arms! So keep your hands free to do the job with this handyman's magnetic wrist wrap. It features twin magnetic plates to secure screws, nails and bolts in easy reach. It also features sturdy PVC pockets and an elastic strap to hold plastic wall anchors, rubber washers, small tools and even light bulbs. Ideal for working on ladders, under sinks and in tight spaces. Plus the comfortable adjustable strap means that it fits any wrist. Do you know a handyman, carpenter, builder or just someone who spends their weekend indulging in a spot of DIY? Then this wrist strap would make the ideal gift.